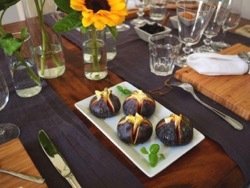 Enjoy a cooking class at a multi award winning venue in Cannes, France. 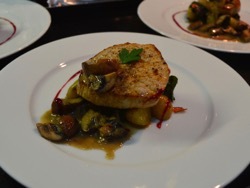 The classes are taught by a trained professional chef who is also a published author working on a recipe book. You will go shopping to choose your ingredients for the morning cooking class at the local market and then have a hands-on lesson with lunch in a stylish, yet casual, Art Deco apartment in the heart of Cannes. This is a great way to discover the culinary delights of Southern France and to get an insider's view of the Cote d'Azur. There are many other options available such as an Appetizer Only class, a Cheese and Wine Tasting class and a Main Dish class. 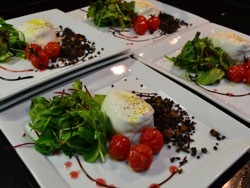 You can also have a private chef's dining experience if you choose not to have a cooking class. You will dine in this small and intimate setting, a Michelin recognized restaurant, the most prestigious culinary recognition a restaurant can achieve. In addition to a market visit and cooking class, you can choose an evening cooking class without a market visit, as well as a cheese and wine tasting experience, and a private dining experience without a cooking class. If you participate in the cooking class, you will prepare a full 4-course menu with your chef and learn a little about the history of the Mediterranean and Provencal cuisine using fresh local produce and products. The dishes will be prepared with classic Mediterranean ingredients such as garlic, onions, anchovies, tomatoes, capers, olives, parsley, rosemary, thyme and more. The sights, sounds and smells of a traditional French market is something difficult to describe but you will see beautiful seasonal products, including tomatoes on the vine to sweet and luscious strawberries. This is your chance to shop with a local chef in the most famous market in Cannes (Marche Forville). 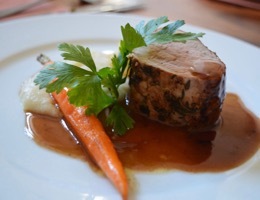 The class is held in the chef's Art Deco style apartment with crisp white curtains and high ceilings. The location is within walking distance of the famous Boulevard De la Croisette. So, if you are looking for a creative, fun and informal atmosphere, then this is the perfect class for you. 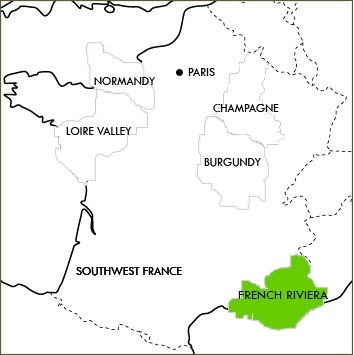 Your chef is fluent in English, has worked in various restaurants and private homes in both France and abroad. Cooking classes including market visit and lunch start at 9:30 am until 3:00pm. Evening courses are available upon request starting at 5:30pm - 9:00pm including dinner. *Please note that if you choose to do an evening course, there will be no shopping at the market. Market is closed on Mondays. 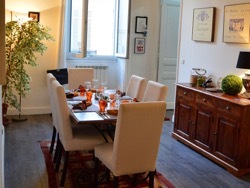 As mentioned above, you can choose to have a 3-course dinner in this typical Art-Deco Cote d'Azur apartment. Enjoy delectable food in a great atmosphere from 7:00pm -10:30pm - a real French ambience that will delight you, sharing stories with locals and breaking bread with new friends. Dinner starts with a Provencal aperitif followed by a 3-course delicious menu. A minimum of 2 participants is required to run this tour and the tour is limited to a maximum of 6 participants. Airport: Nice, Cote d'Zur (approximately 30 minutes by car and 40 by airport express bus that brings clients directly into Cannes in front of Palais de festival. Train: Cannes (Gare SNCF) Train Station, a short 5 minute walk to the apartment. All trains to and from Nice and Monaco including the TGV from Paris, Lyon, Geneva and Marseille. Available February to November. Tuesday to Sunday. Airfare, transportation to the market/class and personal expenses are not included.